Sting-Ray Vintral takes us back to basics with a Nokia phone design, that adopts the usual color, a bit of Fabula Design, but also a lot of straight lines. This design somehow makes me think of the HTC 8X, but with a flatter back. 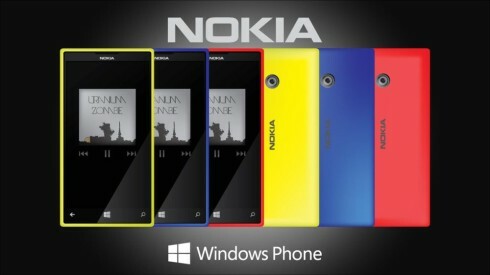 Even the designer says that this is an older Nokia concept, that was meant for the first time Windows Phone user. It had an 8 megapixel camera, a 4.7 inch screen and Windows Phone 8, plus a dual core 1.2 GHz CPU. The concept series is called Nokia Beginnings and I find it really interesting that there’s no flash here, in the camera area, unless it’s more to the right and the image doesn’t show it. A trademark thing for Nokia Lumia is how “fat” they are and I mean here they’re both thick and wide. An elongated Lumia with a pretty decent length, like this one would be a slight change from the stubby Lumia 520 or the hugely wide Lumia 1020. Don’t you think?